September 1st. To say “Yay!” is an understatement. Your children’s backpacks and lunchboxes you carefully prepared are lined up next to the door—and finally, it’s now time to take care of your own equipment. Only a few days ago I stood at the office-supply store, debating which eraser to buy for their pencil cases! As if I didn’t know that they’ll lose it on the first day, or poke holes in it on the second. It’s a fresh beginning for them and I want even the eraser to resonate that. I also want to celebrate… I’m getting back my (already limited) personal time; a few precious hours in a space uncluttered with people or endless stuff…. Now is the time to make sure my “backpack” is filled with all the goodies that will create relaxed, satisfying days this year. This is what I asked myself as I was preparing for you a peek into my personal tools and equipment —what tools do I need in my virtual backpack to start off the year with the right foot forward? I looked around my home and packed it all up here for you. 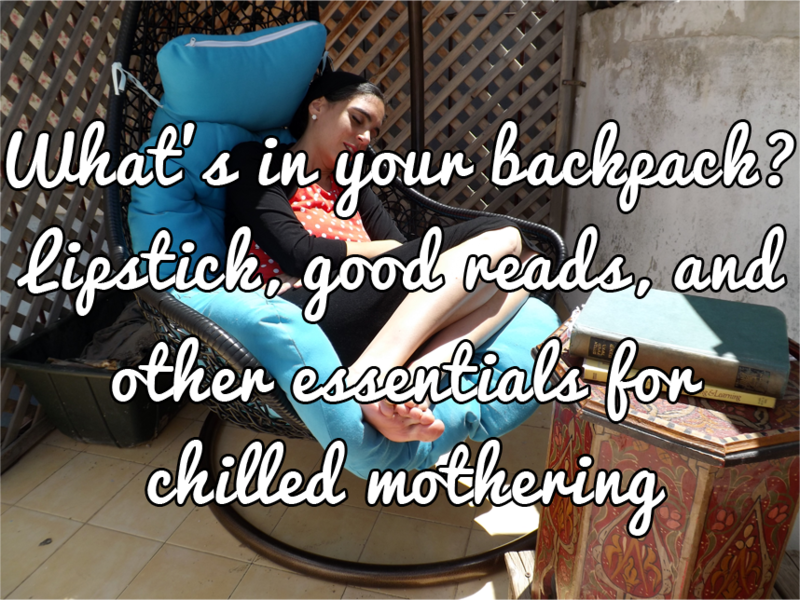 Here it is, in our freshly launched “Resources” page: from stroller to candle holder; from 8-hr lipstick to the parenting resources currently on my bookshelf. It’s all here.